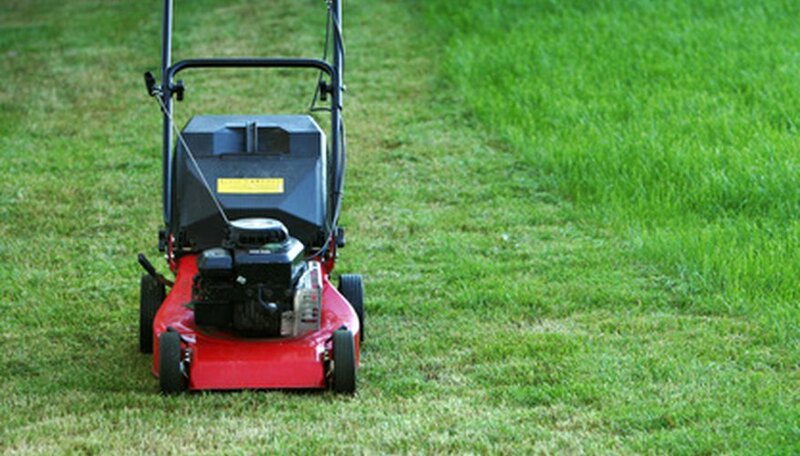 Timing a Briggs and Stratton lawn mower is one of the last tasks for rebuilding the engine. The interior parts are fully exposed, allowing exact placement of the key timing components. Once the engine is timed, the main lower cover may then be positioned and the bolts tightened. The most critical portion of the timing operation is that all of the internal parts must be clean of any foreign debris and oil residue. The timing marks on the parts are small and can be missed if left obstructed. Set the open end of the engine on a firm work surface. The engine will be upside down. Insert the valve tappets and springs into the engine if removed for the engine rebuild. In some cases, the valves will have been left in place. Slide the crankshaft into the magneto, or top, side of the engine, leaving the crankshaft gear facing towards you. Be sure the bearing surfaces are clean. Wipe the top cam interface gear with a clean rag. You should see the manufacturers chisel line mark to identify the crankshaft timing mark. Position the cam gear into the lower bearing hole so the round timing mark on the large gear is as close to the chisel line mark on the crankshaft. This can be a tricky maneuver, as one of the valve stems will be pushing against one of the cam nodes. Push the valve stem inwards with one of your fingers as you rotate the cam gear to the correct timing mark on the crankshaft. The round mark on the cam gear must be in perfect alignment with the chisel line mark on the crankshaft. It may take several attempts to fit the two gears together. Do not use a metal tool to pry the valve stem closed. All of the parts inside the engine are a precision fit. Serious damage will occur if you chip or mar any of the bearing surfaces.